Wednesday September 12, 2018-Migori Governor, Okoth Obado, has told detectives from Criminal Investigations Department (DCI) that he didn’t order for the killing of University of Rongo student, Sharon Otieno. This is after it emerged that when she was killed and her body dumped at Kodera Forest in Homa Bay County, Sharon was seven months pregnant with Obado’s child. 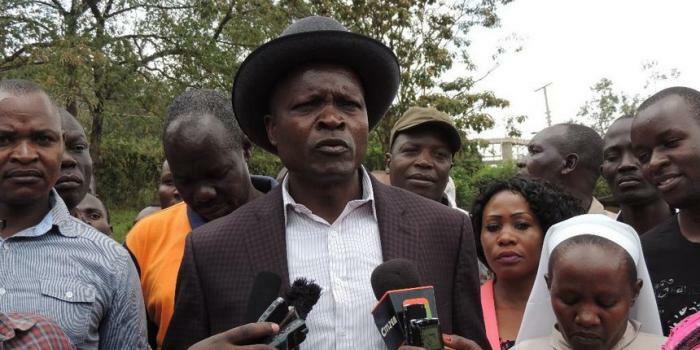 But appearing before Kisumu CID offices on Wednesday, Obado told detectives that he had nothing to do with the killing of Sharon Otieno. The Governor, who was accompanied by his lawyer, Cliff Ombeta, told detectives that he is also interested in knowing Sharon’s killers. “He is not involved in any way and does not want to speculate,” Ombeta told journalists outside Kisumu CID office. Sharon’s family has said Obado had a sexual relationship with their daughter, who was found dead in Kodera Forest last Wednesday. Members of the public milled outside the DCI offices to catch a glimpse of Obado as a battery of journalists camped at the premises.